I have been asked in the past to post on this blog about cases I’ve treated. While this is a great idea, it is difficult to execute due to balancing the importance of protecting the privacy of the patients involved while being able to provide enough detail to explain the treatment and outcomes. Today I have the opportunity to share a more detailed case study on myself, with photos! 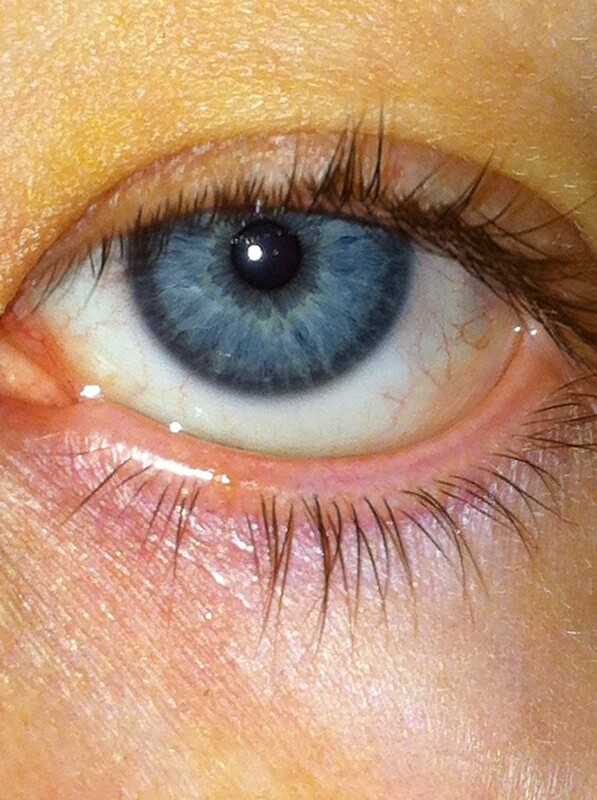 About 3 years ago I first noticed a very small flap of skin on my lower left eyelid. I didn’t pay much attention to it at the time (besides observing whether it was getting larger, which it wasn’t) because it was so small as to be nearly invisible most of the time. In October, I noticed that it had suddenly gotten larger, at least doubled in size if not more! And, it was now much more visible all the time to myself and other people. Plus, I could see it in my vision sometimes and feel it when I moved my eye. The photos on the left are from October 29, 2012. 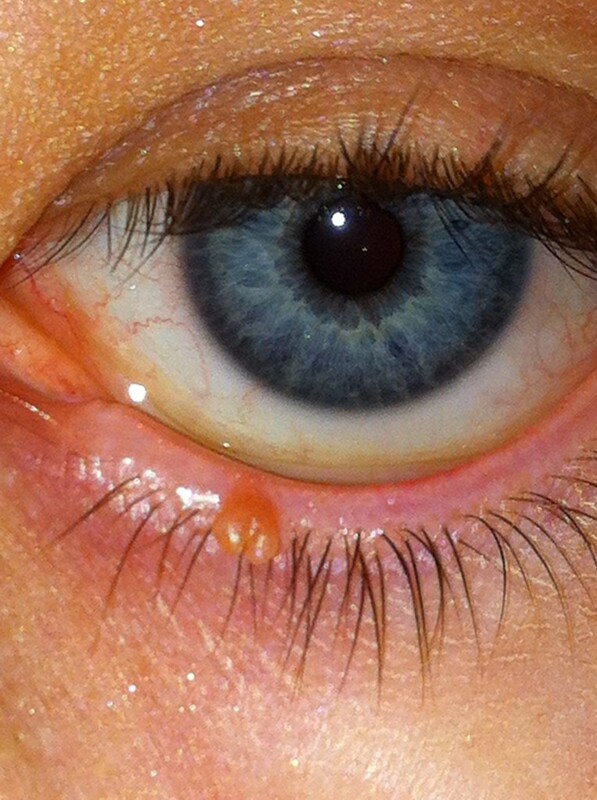 I did some research and determined that what I had was most likely a filiform wart, which often grow on the eyelids. I couldn’t find any definitive treatment and I was concerned about getting it simply cut off as many warts just grow back, and sometimes worse. 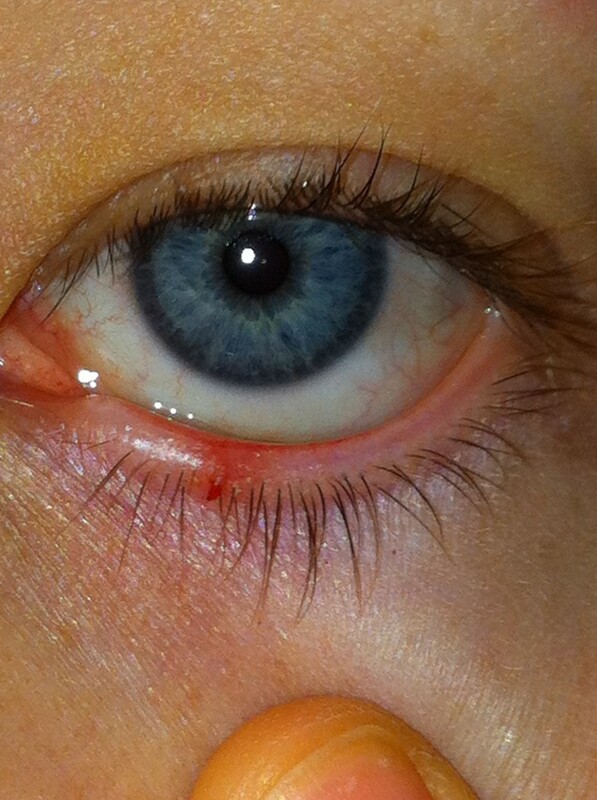 Because it was on my eyelid, I was also limited in what I could put on it topically. Warts, also known as excrescences or verrucas, are caused by a viral infection by a virus from the family known as human papilloma viruses (HPV). This virus can be eliminated by the immune system over time and most warts are not considered harmful. However, they can be visually unappealing, leading many people to want to remove them. Anti-viral nutritional treatment consisting of a few supplements to help my body fight the virus that causes warts. I based these choices off supplements I use when treating cervical dysplasia and HPV infections in women (see my HPV Healing program). Anti-viral topical treatment consisting of using green tea powder made into a paste and applied topically to the area (see my Green tea face mask). In practice, I usually suggest this duct tape wart remedy, but that wouldn’t work for the eyelid! Homeopathic treatment, meaning I went to see my naturopathic doctor (Helena Ovens, ND) and asked her to help me come up with a remedy to treat this. Matrix Energetics treatment from my colleague Louise Doran, ND. I believe that many physical ailments have a mental/emotional/energetic connection. For true, deep healing to occur, it is important to access this level while also supporting the physical body. I started taking a few extra supplements immediately and doing the green tea application overnight every night. I only kept up the green tea application for about 1 week as it started to irritate my eye. I was prescribed a homeopathic remedy and took my first dose on October 31, 2012. I also received a Matrix Energetics treatment on that day. Wart elimination in less than a month! I continued the supplements and took another dose of my homeopathic remedy on November 7, 2012. These photos from November 7, 2012 show that the wart has already shrunk in size by about half. It is a bit brown/green discoloured I think from the green tea applications I was doing (although I had stopped them by this point). 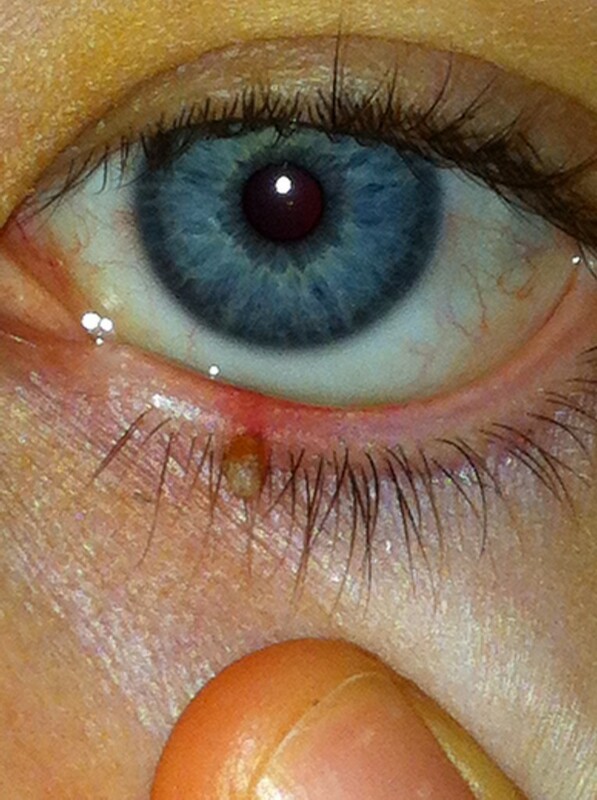 By the weekend, the wart continued to get smaller and drier and began to feel like it might fall off. I waited until Sunday, November 11, 2012 when while washing my face I was able to just pluck it off with nearly no effort! 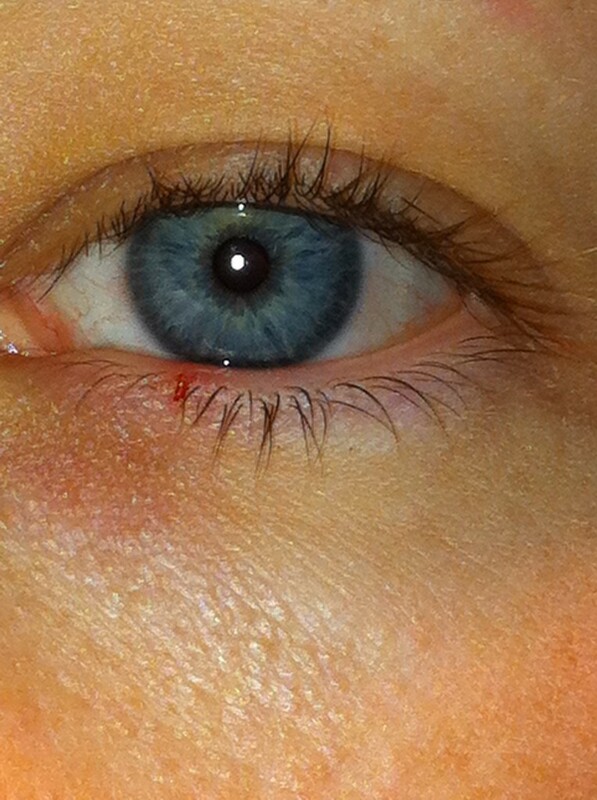 These photos were taken just after this, so you can see a bit of blood and redness where the wart had been. 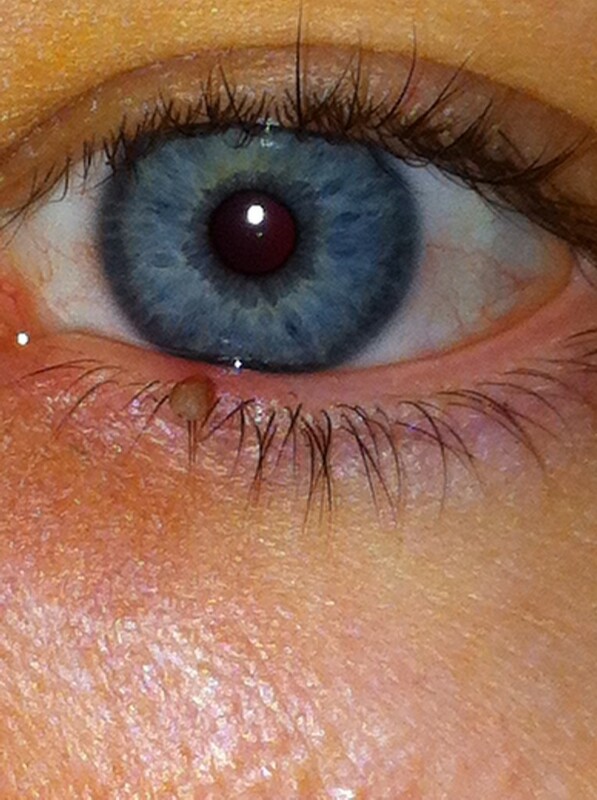 Finally, a few days later my eyelid was nearly back to normal, with just a slight bump where the wart was! These photos from December 3, 2012 show that the wart is completely gone and my eyelid has healed nicely with nearly no evidence that anything ever happened. Just another great example of the power of naturopathic medicine! 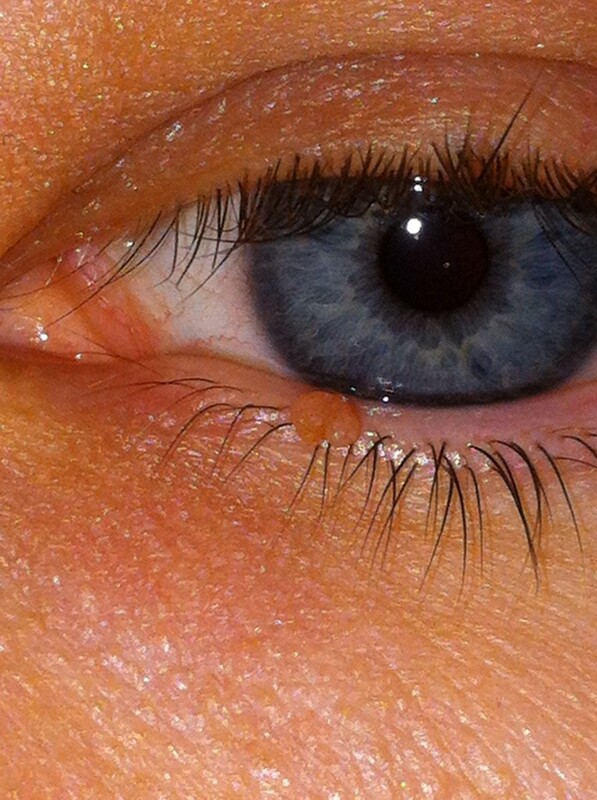 I am having wart on my right lower eyelid. Warts are in group as fingers like projection (filiform). Can you advice homeopathic medicine. That will be great for your prescription. Hi Prabhash, homeopathy is best applied based on the individual and his/her symptoms. There is not one correct remedy for warts. I recommend you seek personalized treatment from a homeopath in your area! Best of luck! I’m wondering if you had other warts at this time, perhaps on fingers? That is my case. 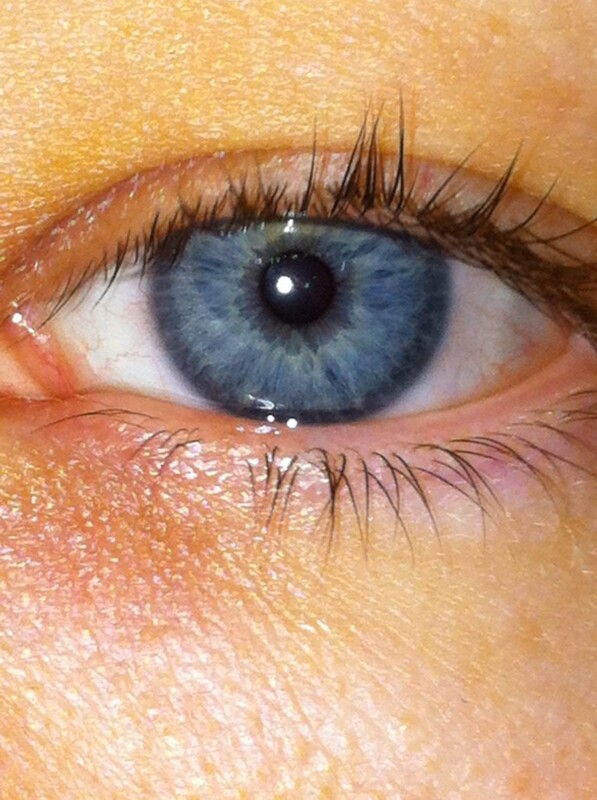 I first had one or two develop on my finger, and apparently I spread it to my lower eyelid. It looks very much like your photographs. I am interested in your anti-viral nutritional protocol. I am 5 years into a plant-based low-SOS (salt-oil-sugar) lifestyle. (Lots of fresh green leafy veggies, fruit, beans, tomatoes, rice, potatoes, cruciferous, etc.) I supplement B12. I have no other health issues. Just seeking more info about the nutrition protocol. Hi Angela, at the time I did not have any other warts other than on my eyelid but in the past I had a few warts on fingers/feet in high school. Regarding my protocol, I can’t suggest more specific treatment advice to someone who is not my patient and it depends to some extent on a patient’s health history and other health issues. I recommend you seek treatment from a Naturopathic Doctor in your area – if you live in Canada you can search for an ND via the Canadian Association of Naturopathic Doctors (or the Ontario Association of Naturopathic Doctors if you live in Ontario) and if you live in the United States you can search via the American Association of Naturopathic Physicians.